Facebook is reportedly conducting tests of experimental wireless communications equipment which makes use of drones to broadcast internet in remote locations. Business Insider highlights documents filed with the FCC by Facebook subsidiary FCL Tech Inc., which develops drones aimed at providing internet access in the developing world. The FCC documents reveal that the company is conducting tests in the New Mexico desert, in the town of Truth or Consequences. While the details of the project are being kept secret, the filing notes that the test will involve the 3650-3700 MHz radio frequency, which is the spectrum for the Citizens Radio Broadband Service. The frequency is believed to be useful for 4G LTE wireless networks. The report further reveals that Facebook is building a solar-powered drone, dubbed Aquila, to deliver internet access to remote parts of the world, just as Google is doing through Project Loon. The Aquila drones are very large and have the same wingspan as a Boeing 737. 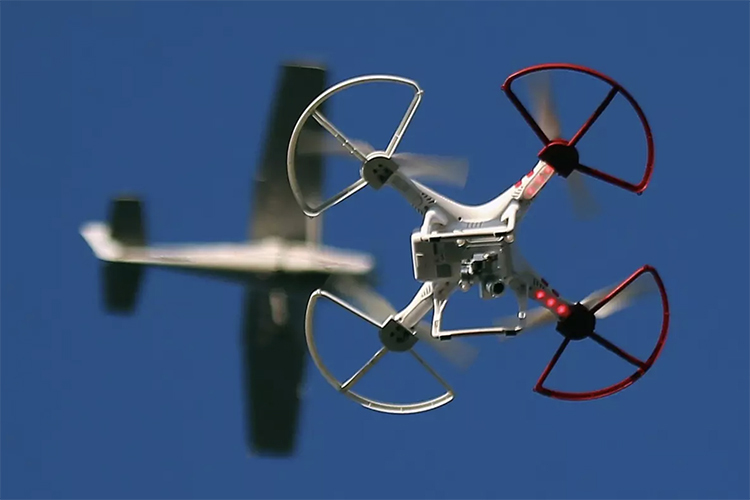 The drones are designed to fly at an altitude of 60,000ft for up to three months at a time. The Aquila drones are currently being tested in Arizona. It’s also worth noting that Facebook’s FCL Tech requested permission to test wireless equipment on a small drone, back in 2016. The maximum flight altitude for a drone was 400 ft and it was tested at Facebook’s Menlo Park headquarters. Facebook has since expanded that test to include a fleet of 30 such drones which are capable of broadcasting over a vast area.